Topics: Services, Conditions, Eurekastep, SÃ¶ll Airport Transfers, and Ellmau Airport Transfers. 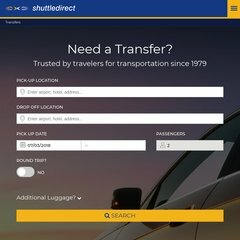 a-t-s.net Europe&apos;s No.1 - Airport Transfer - ATS - Airport Taxi - Airport ..
351 users visit the site each day, each viewing 1.40 pages. The site is programmed for PHP/5.3.2-1ubuntu4.18. It has 4 nameservers, including ns2.easydns.com, remote1.easydns.com, and remote2.easydns.com. PING (92.52.85.13) 56(84) bytes of data. The server is slower than 76% of measured websites, at 1227 milliseconds. Also a time of 98.0 ms, is recorded in a ping test.